As I see it, there are basically only two things to do in an extended time of prayer: wait on God, and respond to His call to pray. But it is crucial that you do it in that order. If you just mechanically begin to pray for all your needs without waiting on God to direct you, you will be going against the Holy Spirit and will soon become frustrated. So first wait on God and listen to Him. He will tell you what to do and in what order. He is the master of prayer. You are His disciple and servant (Read Isaiah 50:4). Waiting on God begins even before you get to your place of prayer. Waiting on God isn’t really an activity; it is a mood, or a frame of mind. It is being an obedient listener. This obedient, listening mood is something you should try to maintain throughout your time of prayer. But at the beginning of your time you will want to make an effort to establish it. Therefore, you should try to put aside your own selfish desires and focus on God and on what He wants to tell you and show you. In order to establish this listening mood a good thing to do is go for a walk, or a boat ride, or maybe a drive in the country. As you go, pray that God will give you a listening ear. At some point along the way, stop and read and meditate on a passage in the Bible. And if the Spirit leads you, sing to Him and praise Him. You may also want to just sit and look up into the sky or into the trees, or on the water. I love sitting by a lake or a stream. It always seems so comforting. 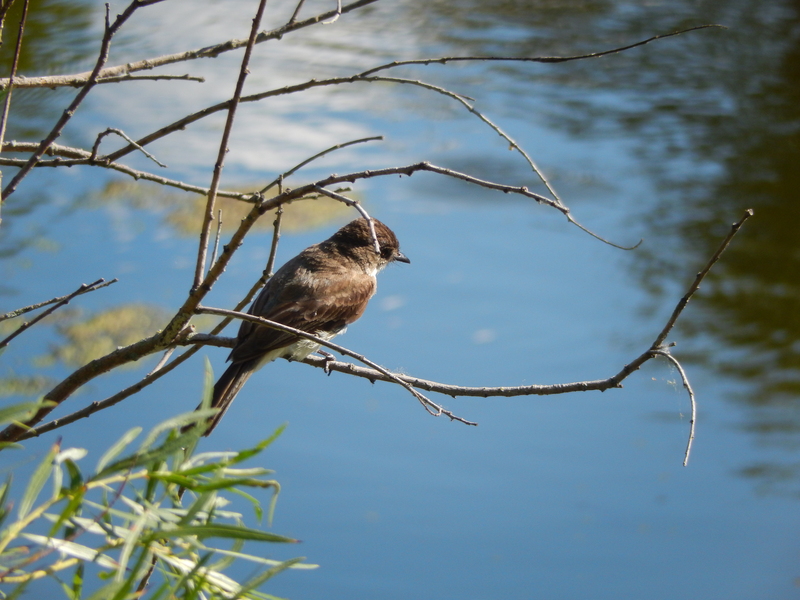 The moving of the water and the tree branches and the grass symbolizes to me the moving of the Holy Spirit. When I see the effects of the wind all around me I am assured by God that He is there and working. That is always so comforting to me. There are so many ways we can see God in nature. I hope you take advantage of it and let God touch you and come near you. As you walk and sing and meditate on the Word and pray and observe things around you while listening to the Holy Spirit, at some point He will call you to more serious prayer. He may also call you to repentance and purity. He may push you down on your knees and even on your face in repentance. If you feel this don’t resist. It is the Holy Spirit working on your heart to get you ready for prayer. At that point confess whatever sins come to your mind. Tell God whatever is on your heart. After you have confessed your sins and cried, you may feel some relief and a lightness of heart. He has cleansed and forgiven you (1Jn. 1:9). At this point you may feel that the time of prayer is over, that God has touched you and healed you and prayer is no longer needed. But your prayer time is just beginning! He has broken you down, made you repent, and cleansed your heart to prepare you for prayer—for serious prayer! Don’t give up now! Stick with it! You must continue to wait on God until you feel a burden for prayer, or rather a burden to pray for specific things. Wait on Him patiently and He will show you exactly what He wants you to pray for. If you feel some tug at your heart to pray, but for nothing specific, I would suggest starting your prayer time by reading some of the Psalms (you may want to have some passages picked out ahead of time). As you read and meditate on them, also pray over them, and let them become your own prayers—for the Psalms, and all of Scripture, are the Word of God; God will use them to form your prayers. Also, if you feel like singing and praising Him, by all means do it. Don’t hinder the Holy Spirit in any way. Continue in praise and singing as long as the Spirit leads you. At some point the Spirit will lead you to pray for something or someone in particular. He will put a burden on your heart for them. Pray right then without delay! You may want to write things down as they come to you so that you have a record of what God led you to pray for. Don’t be concerned about the order that things come to you in, even if you find that you are praying mostly for yourself or mostly for one particular person. Just pray as the Spirit leads you. As you are praying for yourself, God may show you some things about yourself that you may want to consider and change. I would suggest having a notebook handy to write those things down. After your prayer time comes to an end, take the time to go over everything God has showed you and begin to apply those things. 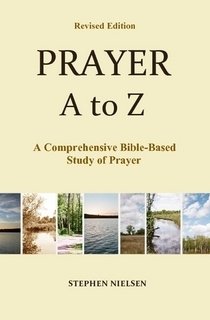 This entry was posted in Part 5, Practice of Prayer, Prayer A to Z Excerpts, Principles of Prayer, Zenith of Prayer and tagged listening to God, prayer, prayer burden, preparation for prayer, waiting on God. Bookmark the permalink. Stephen Nielsen you are great ! How wonder that holy spirit guides you ! You bears a good fruit for God ! I feel it be a good inspiration when I don’t know that how to go deep prayer life ! Keep it up !you be a blessed and remembered in prayer ! Thanks a lot !